This healthy bread uses mashed up sweet potato which gives it a subtle sweetness, rosemary, and wholemeal flour. Unlike commercially bought bread, homemade is free of any preservatives or additives, so it’s best eaten within 4-5 days while its fresh. Otherwise, pre-slice and freeze it in plastic bags to keep it from going stale. Cook the sweet potato in boiling salted water until soft, about 10-15 minutes. Drain well and mash with a little salt to taste. While the sweet potato is cooking, combine yeast, sugar and warm water in a bowl. Leave on the bench for about 10 minutes until frothy. In a large mixing bowl, combine flours, salt, and rosemary. Add oil, mashed sweet potato and yeast mixture, and mix until well combined. If the dough is too wet you may need to add a little more flour. Knead dough for about 10 minutes on a floured surface, adding a little extra flour as needed, until dough is soft and elastic. Place dough in a lightly oiled bowl, cover with a tea towel or clingfilm, and leave to rise in a warm place for about 30 minutes – it should have doubled in size. Line a baking tray with baking paper. 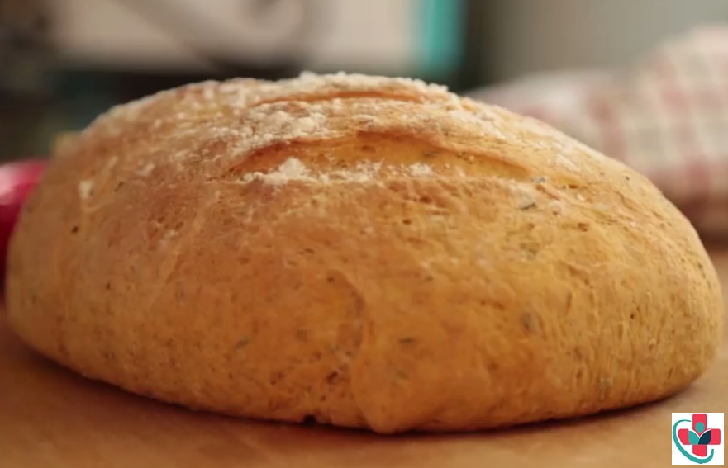 Cut dough in half and shape into two loaves. Place loaves on a lined tray and cut a few 1cm-thick slashes on top of the loaves with a knife. Leave to rise for a further 20 minutes or so. When ready to bake the bread, preheat oven to 200°C. Dust loaves with a little flour. Bake for about 25-30 minutes or until a crust has developed and the base sounds firm and hollow when tapped. Remove from oven and allow to cool a little before slicing.